A very very big fish! We are now in the tropics. 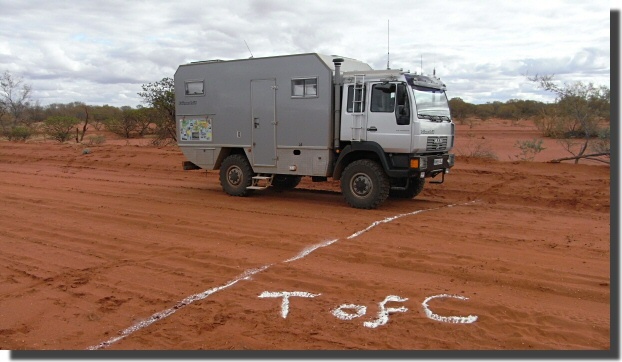 Alas we crossed the Tropic of Capricorn (S23.438) on a minor dirt road, that did not have a road sign. So we marked it ourselves. ...for big fish. 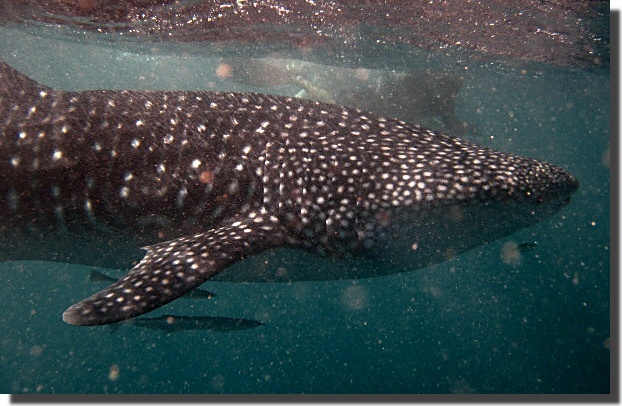 In fact the worlds biggest fish - the whale shark. 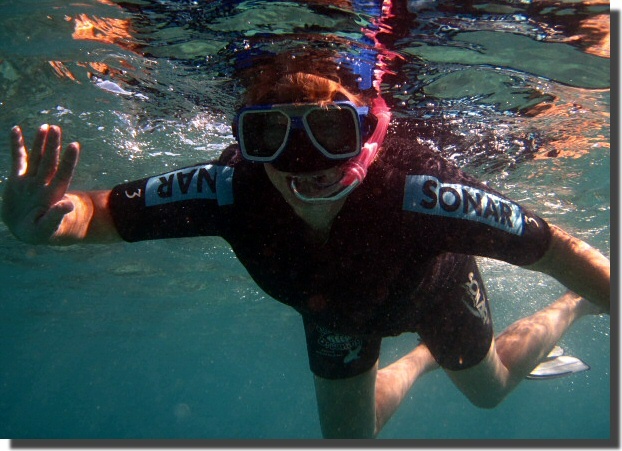 What's more if you are a good strong swimmer and an experienced snorkeler you can swim with them. 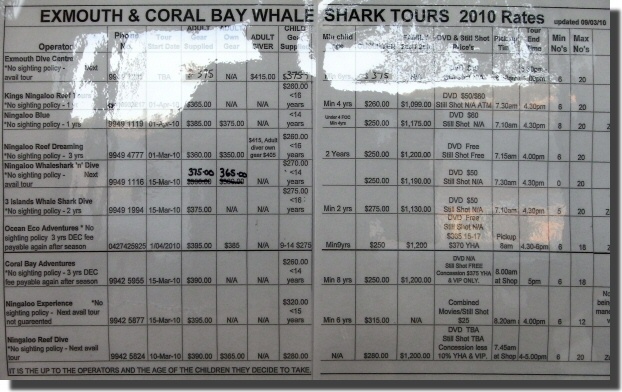 The visitor centre lists ten companies that run "swim with whale shark" trips. 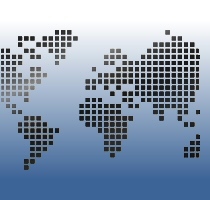 They also provide a rather misleading list of recent successful sightings. This list was very incomplete. 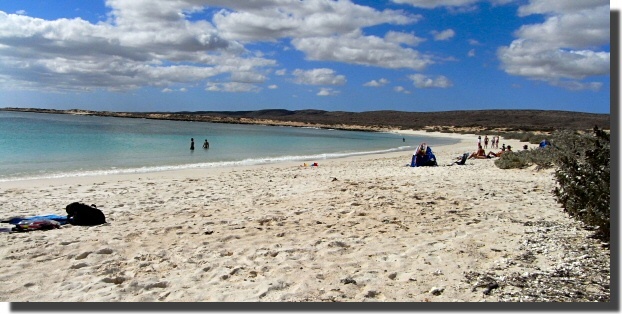 We* had been recommended to to use Ningaloo Reef Dreaming and they turned out to be excellent and one of the cheapest. 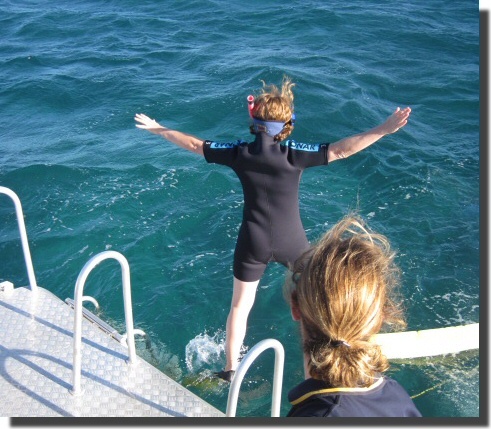 The trip lasts from 07:00 to 16:00 and includes all equipment (wet-suit, snorkel, mask, flippers etc.) lunch and snacks. 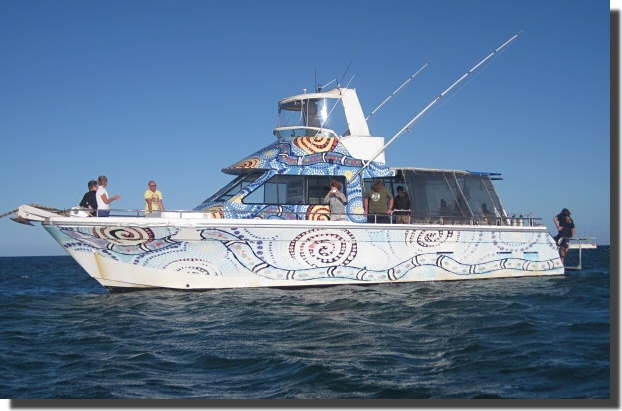 Ningaloo Dreaming (unlike the other companies) have their own spotter plane that locates the whale sharks and directs the boat to them. 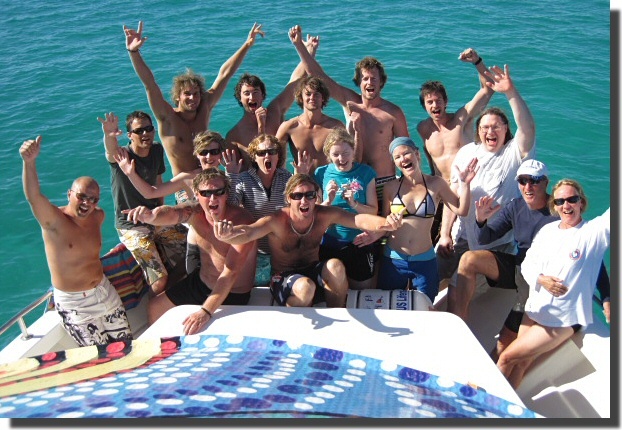 Because only ten people are allowed in the water at one time (near a single whale shark) the twenty people on the boat are divided into two teams (by swimming ability). When a whale shark is located a staff member (a spotter) jumps into the water and swims with the whale shark with one arm in the air. The selected team then enter the water as quickly as possible (Go! Go! Go!) 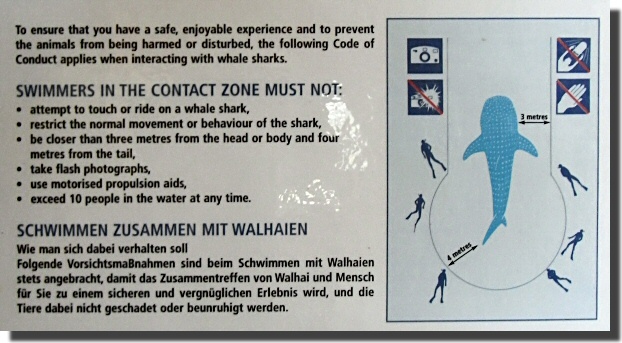 and (try to) swim to the spotter without upsetting the whale shark. 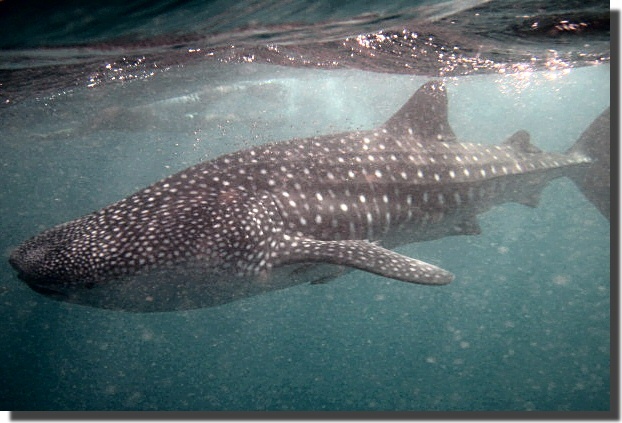 Ningaloo Dreaming found three whale sharks on the day Michele went with them. Whale sharks are up to twenty metres in length, this one is about six metres. Note the swimmer on the surface behind the whale shark. A good time was had by all. All the photos above were taken on the day Michele went and most were provided by Ningaloo Dreaming as part of the package. * By "we" I do of course mean Michele, as I (Stephen) am neither a good swimmer nor an experienced snorkeler.